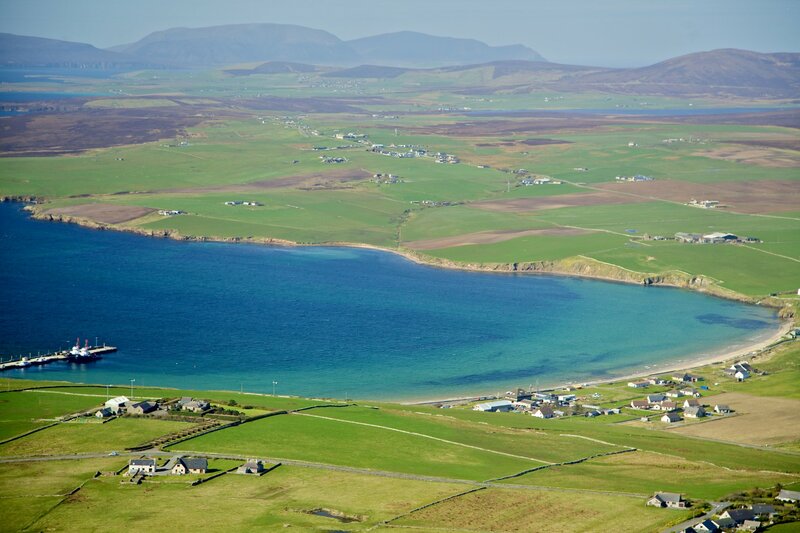 One of Orkney's most popular beaches, Scapa is just a mile or so from Kirkwall and is popular with walkers and visitors all year round. 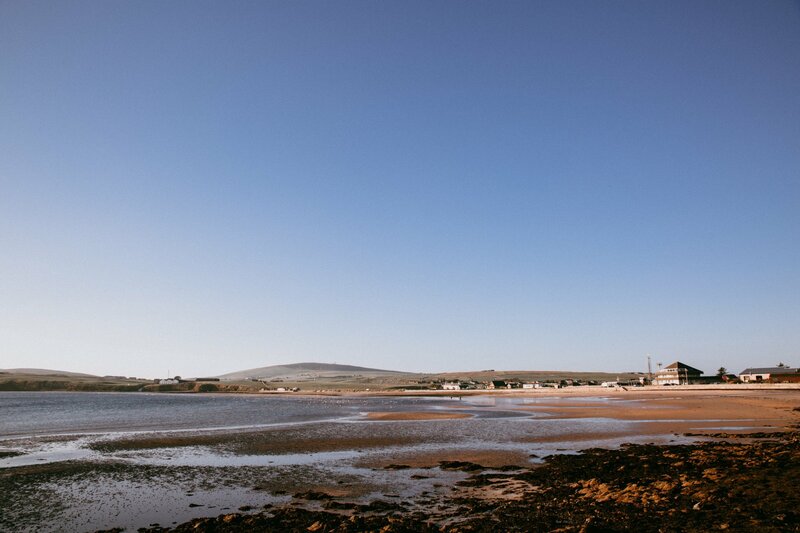 With views out into Scapa Flow, the beach is a brilliant place to be early in the morning or late in the evening, with the sun casting its colours over the sky. 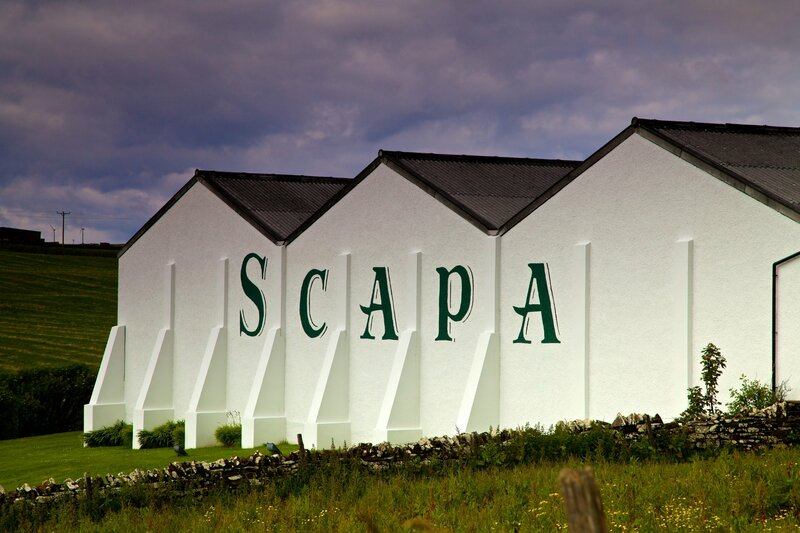 Scapa can be a real hive of activity, with vessels berthing at the nearby pier, oil tankers out in the Flow carrying out ship-to-ship transfers and windsurfers, kitesurfers, kayakers and swimmers all taking to the sheltered waters. 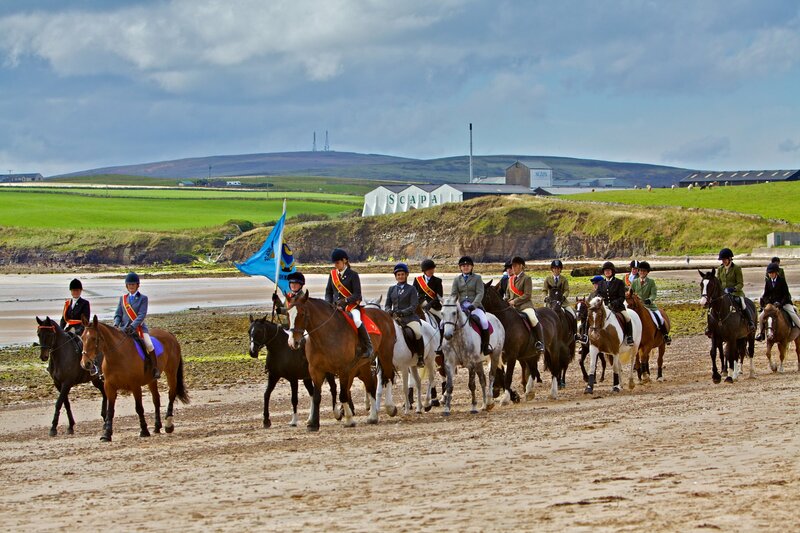 Onshore expect to meet plenty of friendly dogs having fun on the sand, and horses galloping through the surf. With plenty of parking opportunities, and its proximity to Kirkwall, you can understand why this beach is so popular. 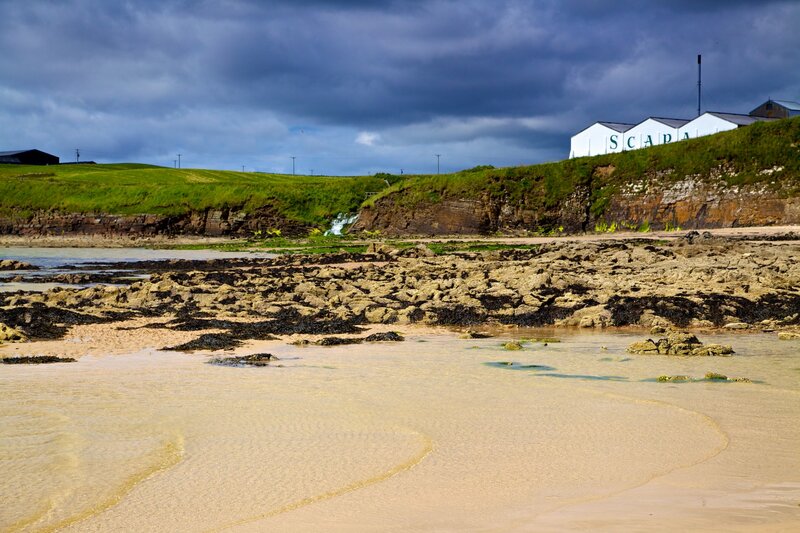 The Crantit Trail walking route leads out to the beach from the town, and there is another excellent walk along the cliffs at the west side of the beach too, taking you past the Scapa Distillery, a waterfall and plenty of seabirds, en-route to a small sandy bay. Remember to visit the Royal Oak Memorial Garden just next to the car-park when you're at Scapa too, a poignant reminder of Scapa Flow's role during two World Wars.